(AgWeek) – Reports out of the Black Sea Region were all negative this week. Russia’s Ag Minister increased grain crop estimates to 109 million metric tons from 105 million metric tons, citing improved conditions in Siberia. Ukraine increased their grain harvest estimate from 63.1 million metric tons to 64 million metric tons. They also increased their export potential by 3.1 million metric tons. For the first time in six weeks, Russian export prices declined for 12.5 percent protein. Prices in the Black Sea Region were $231 per metric ton. Exports for all Russian wheat are running 34 percent ahead of last year’s pace at 15.2 million metric tons. The Institute for Agricultural Market Studies increased their Russian export number from 32.5 million metric tons to 33 million metric tons. 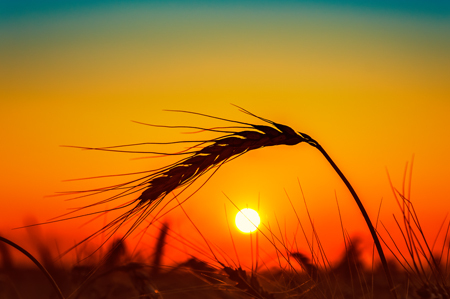 There was a report about Ukraine lowering its wheat classes from six to four. The new guidelines would be 14-plus percent, 12.5-plus percent, 11-plus percent and 10.99 percent or lower being graded as feed wheat. At first blush, fewer and simpler classes would benefit their export capabilities. The U.S. dollar surged above the $95.80 resistance levels in Oct. 24 trade, putting a very bearish tone on the wheat markets. The dollar exceeded the Aug. 15 high of $96.45, reaching $96.50. This major resistance level has been breached, and it would appear the dollar will continue to trend higher. The stronger U.S. dollar will hurt our exports, as U.S. grain becomes more expensive on the world market. The Russian ruble has been in a sideways pattern the last few weeks. Winter wheat is 72 percent planted versus 77 percent for the five-year average. Emergence is 53 percent versus 55 percent for the five-year average. There is some chatter that Ohio winter wheat acres may come in less than expected due to excessive fall moisture. Six-to-10-day forecasts favor rain and cold temperatures for the Ohio area. Canadian farmers are still behind pace to complete harvest. Weather this week looks good, but reports are surfacing that a much higher than normal percentage of Canadian wheat will fail to make milling grade. These reports have been prevalent for the past month, but the wheat market has largely discounted them. It will be interesting to see if Canadian mills will experience logistical issues sourcing 14 percent protein wheat. This should favor improvements in spring wheat basis levels through next summer even if the futures market trades in a stable range. Weekly export sales totaled 442,600 metric tons (16.3 million bushels). Total commitments of 461 million bushels are down 17 percent from a year ago. Weekly inspections totaled 14.1 million bushels for the week ending Oct. 18, which was within expectations. Marketing year inspections total 302 million bushels, 24 percent lower than last year and well below USDA’s projected 14 percent increase. Chicago and Kansas City contracts broke early July support levels around the $4.90 to $4.93 levels in Oct. 25 trade. Current support level for Minneapolis is $5.6025 reached Sept. 13. For the week ending Oct. 25, December contracts for Minneapolis wheat were down 19.25 cents at $5.695, down 27.5 cents at $4.8725 for Chicago wheat, and down 29.75 cents at $4.865 for Kansas City wheat. Corn futures were under pressure and followed the other grain complexes into the red for the week. Another week of big hits to the stock market is also wearing on trader confidence. The big surprise to start the week was that the funds had bought 54,000 contracts of corn last week to go from a 34,000 net short to a plus-20,000 net long. This long was higher (more) than expected. Harvest weather improved this past week and help harvest progress. While farmers waited for soybeans to dry down, they switched to corn harvest in order to get started in the field. Corn harvest was 49 percent complete versus 47 percent for the five-year average as of Oct. 21. Condition ratings remained unchanged from last week at 68 percent good to excellent. Crude futures are down more than $10 since new four-year highs were made on Oct. 3 at $76.72. Crude oil prices continue to fall as futures are pressured by stock market weakness and vows by top oil exporter Saudi Arabia to meet the demands of the world’s oil consumers. Ethanol production snuck higher this past week, but is still below a year ago. Ethanol stocks saw an unexpected drop but are still a record high for this time of year. Ethanol production for the week ending Oct. 19 averaged 1.024 million barrels per day. This is up 1.29 percent versus last week but down 1.44 percent versus last year. Stocks as of Oct. 19 were down 0.97 percent versus last week but are up 13.6 percent versus last year. Corn used in last week’s production is estimated at 106.57 million bushels. Corn use needs to average 108.566 million bushels per week to meet this crop year’s the U.S. Department of Agriculture’s estimate of 5.65 billion bushels. Export inspections came in at 37.4 million bushels which was at the lower end of expectations. Cumulative inspections are running 72 percent ahead of a year ago. For the week ending Oct. 18, USDA reported 13.8 million bushels of corn export sales for 2018-19 and 1.1 million bushels for 2019-20. There are 844 million bushels of total commitments in 2018-19, up 32 percent from a year ago. December was down 6 cents for the week ending Oct. 25. Support for December corn is the three-week low of $3.625 and then is the contract low of $3.4245 set Sept. 18. December corn also broke below the 20-, 50-, and 100-day moving averages this week. Resistance is the two-month high set on Oct. 15 of $3.785 and then the four-month highs of $3.885. Soybean futures were under increasing pressure as the week went on as harvest has been wide open for the last week. Weather was almost perfect for the week to get beans out of the field. The Upper Midwest has seen sunshine for the first time in a month and consistent winds helped keep combines in the field well past dark after early starts to the day. The weekly crop progress report as of Oct. 21 showed soybean harvest 53 percent complete nationally versus 69 percent for the five-year average. This next report should show a major increase for the soybean harvest. Condition ratings remained unchanged at 66 percent good to excellent. Traders are also getting more nervous as every week passes with the Chinese trade saga. October is typically the busiest month of the year for U.S. soybean shippers, with three-fourths of those soybeans going to China. That will not be the case this year. Brazil has been making up for our lack of exports, as they could hit the 80-million-metric-tons mark for soybean exports this year. That is 5 million metric tons more than official government estimates. The longer we go without trade negotiations, the closer we get to China not needing many of our soybeans for another year as Brazil starts harvesting their soybeans in February. The 2019 Brazil growing season is off to an early start and has seen favorable moisture. Not many people have been expecting anything to happen with China until after our midterm elections, but the lack of any future meetings planned is a cause for concern. Weekly export inspections were better than expected, but weekly sales were very disappointing. Weekly export inspections totaled 42.2 million bushels, which was at the upper end of trade estimates and that helped early week. Inspections are running 40 percent less than a year ago. USDA reported 7.8 million bushels of weekly soybean export sales for 2018-19 and 37,000 bushels for 2019-20. There are 774 million bushels of total commitments in 2018-19, down 26 percent from a year ago. Soybeans dipped back below the 100-day moving average after climbing above it on Oct. 15 for the first time since June 6. November soybeans also broke back below the 50-day moving average of $8.545. November soybeans support is the summer lows set July 16 of $8.2625 and then the new 10-year lows set on Sept. 18 of $8.1225. The $7.7625 lows set back in December 2008 are major support after that. Resistance is the new 1.5 month high set Oct. 15 of $8.92 and then major resistance is the end of July’s high of $9.2225. The funds decreased their net short position by 5,000 contracts to net short 36,000 according to the latest Commodity Futures Trading Commission data from Oct. 16. November soybeans were down 15 cents for the week ending Oct. 25. For the week ending Oct. 25, November canola futures were down $12 at $482.70 Canadian per metric ton. The Canadian dollar was down .0036 to .7653. This brings the U.S. price to $16.76 per hundredweight. • Velva, N.D., $15.76 per hundredweight, December at $15.85. • Enderlin, N.D., $17.43 per hundredweight, December at $17.43 Nexera. • Hallock, Minn., $15.92 per hundredweight, December at $16.59. • Fargo, N.D., $16.80 per hundredweight, December at $16.40. The Canadian dollar remains in a very choppy to lower trade pattern since shortly after the approval of the U.S.-Mexico-Canada Agreement. Cash feed barley bids in Minneapolis were at $2.60, while malting barley received no quote. Berthold, N.D., bid is $2.50 and CHS Southwest New Salem, N.D., bid is $2.50. Cash bids for milling quality durum are $4.50 in Berthold and at $4.50 in Dickinson. Cash sunflower bids in Fargo were at $17.15, with December bids at $17.35. For the week ending Oct. 25, soybean oil was down 75 cents at $28.39 on the December contract.